What’s Better…Soil or Hydroponics Growing? Newbie Marijuana Grower Series: What’s Better…Soil or Hydroponics Growing? Over and over again my friends and I argue about hydroponics versus soil for growing marijuana. And newbie marijuana growers (whose ranks are, pun intended, growing fast due to marijuana legalization in some places), especially need to understand the big differences between growing in soil and growing hydroponically. 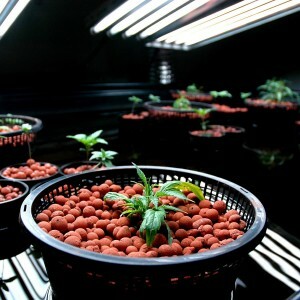 Hydroponics growing means growing soilless. Your roots are in water (aeroponics, deep water culture, aquaponics), or they’re in an “inert” solid media like perlite, rockwool, coco coir, or lava rock. There are NO NUTRIENTS in inert solid media or in reverse osmosis water unless you put them in. And that’s why the quality, potency, and formulation of hydroponics nutrients are radically important to hydroponics growers. Also: be sure to use reverse osmosis water if you have a hydroponics garden. Reverse osmosis water contains no nutrients elements, contaminants, heavy metals, chlorines, or chloramines. This gives you a clean slate to work from, and avoids harm to your cannabis plants. Hydroponics growing gives you TOTAL CONTROL over what nutrition your cannabis plants feed on. Soil doesn’t. Your marijuana plants take in various nutrients elements from soil or hydroponics, depending on what they want and need at the time. In soil marijuana growing—even in soil you make yourself or buy from a marijuana-specific soil maker (such as supersoil)—you can’t control exactly what nutrients elements your plants have available with anywhere near the totality you get when you grow hydroponically. And if your soil has something wrong with it, maybe because it was made wrong or you put too much or too little fertilizer in it, you have a very hard time clearing the soil so your marijuana plants survive and thrive. In hydroponics, you can easily clean your system and start over again with a new nutrients program. And in hydroponics marijuana growing you can totally calibrate the nitrogen-phosphorus-potassium (NPK) and other elements your cannabis plants have in their root zone. This allows you to customize your hydroponics feed program day by day, hour by hour, and week by week to make your plants grow faster, bloom earlier, and produce heavier, more sticky buds. Yes, in soil you can do fertilization, spiking, layering, and other techniques…but hydroponics marijuana growing is far superior to soil growing when it comes to total control of nutrients delivery. 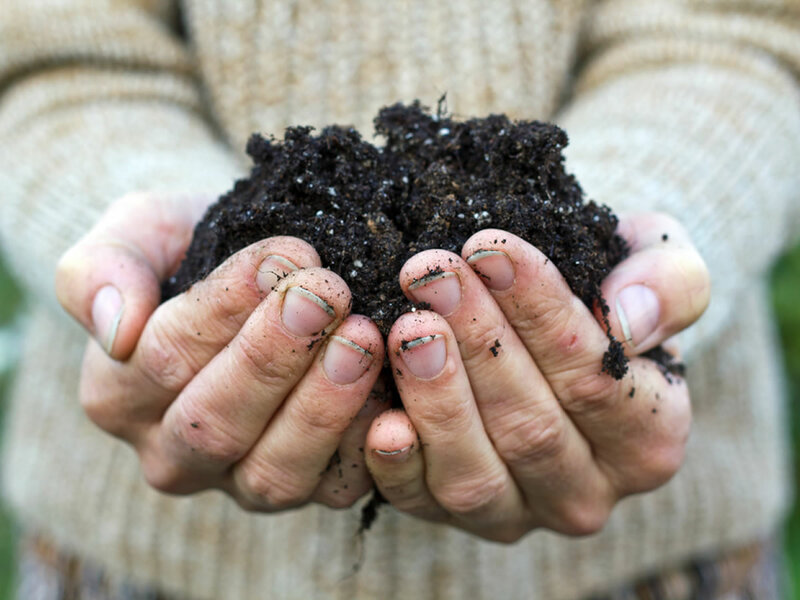 One other important fact about soil: most commercial soils have pests, diseases, harmful microbes, heavy metals and other bad stuff in them. When you use inert hydroponics materials such as rockwool, hydroton, or perlite, you avoid the possibility of bringing those problems into your grow room. In some but not all ways, soil cannabis growing can be “easier” and simpler than hydroponics growing. Hydroponics growing requires high-quality hydroponics nutrients, and works best with reverse osmosis water. The degree of acidity and alkalinity (pH) of your root zone makes a big difference in how your marijuana plants absorb nutrients. In properly-made soil, root zone pH is relatively stable. In hydroponics, you have the hassle of pH-metering and adjusting your water. If you want to avoid that hassle, you use premium hydroponics base nutrients called “pH Perfect” or “Balance-Free pH” that automatically adjust pH. Hydroponics requires more frequent watering and more careful watering, whether it’s via a pump timer, reservoir, and irrigation, or hand-watering, when compared to soil marijuana growing. In soil growing, if you have electrical or equipment failures, your plants can survive for a few days as long as the soil was properly moist and had enough nutrients in it. In a hydroponics marijuana garden, electrical or equipment failures can kill or seriously injure your plants in a few hours. In soil or hydroponics, you get more from your cannabis plants when you have beneficial microbes installed in the root zone. Beneficial microbes protect roots and assist them in nutrients uptake. Most soils and hydroponics root zones don’t have the right type and/or amount of beneficial microbes unless you add them using professional marijuana-specific products such as Mother Earth Organic Super Tea, Voodoo Juice, Piranha, and Tarantula. To feed beneficial bacteria, you add carbohydrate products such as Bud Candy. 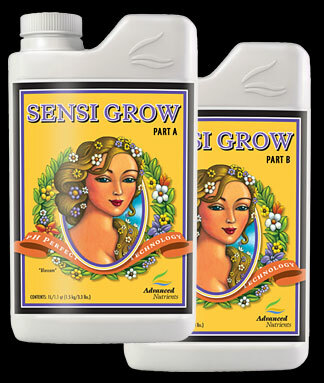 This product has the added benefit of giving extra energy to your marijuana plants, and also boosting taste and aroma. We’ve focused here on the differences between growing cannabis in soil versus in hydroponics. We haven’t focused on the endless arguments in the marijuana growing community about whether soil-grown marijuana is “cleaner,” healthier, and better-tasting than hydroponics marijuana. In blind taste-testing where connoisseur marijuana growers compare premium hydroponics buds and organic soil-grown marijuana, nobody could tell the difference. BigBudsMag.com has other very good articles about soil versus hydroponics arguments talking about whether hydroponics yields more than soil. The general opinion among professional marijuana growers is that hydroponics does produce heavier harvests than soil, and that hydroponically-grown marijuana grows faster and is ready for harvest earlier than soil-grown marijuana. Still, the best way to find out whether you prefer soil or hydroponics for growing marijuana is for you to grow your favorite marijuana in soil and in hydroponics, and compare the differences for yourself!